Drawing attention to the redesigned Pilot is the SUV’s new three-bar chrome-style grille and front fascia, which replaces the previous model’s six-sided grille insert with a distinctive three-bar horizontal design. The Pilot also has a reconfigured multi-reflector halogen headlights set-up, as well as new turn signals that further contributes to the fresh new look of the SUV. A new front air dam and optimized strakes further reduces the frontal area of the Pilot and removes unwanted air turbulence, qualities that helps the Pilot improve its fuel efficiency. Everything else about the Pilot’s look remains the same as the previous models, although the 2012 version comes with a variety of wheel options. The Pilot EX comes with an all-new five-spoke, 18" aluminum alloy wheel design whereas the Pilot LX comes with 17" styled-steel wheels. Finally, the Pilot Touring comes with a set of exclusive 18" six-spoke alloy wheels with a high-contrast machined surface. The interior of the Honda Pilot focuses more on instrument panel refinement and a more intuitive button layout as opposed to any kind of styling overhaul you might have expected. Among the important features that have been added to the Pilot’s set-up include audio system upgrades for the Pilot EX and EX-L models comprising of a 2 GB CD-Library (CD-L) and Bluetooth Audio Streaming, along with the addition of Bluetooth HandsFree Link to those trim levels. Meanwhile, the Pilot EX-L now has a new full-color 8-inch intelligent Multi-Information Display (i-MID) for audio and vehicle information. As far as the look of the interior is concerned, the Pilot’s instrument panel now boasts of a more unified color theme, highlighted by a glossy black center panel that replaces the high-contrast silver panel of the previous model. Both the speedometer and the tachometer also have new designs to themselves with matching white background illumination for the night-time driving. The center stack has also been redesigned, adding a subtle U-shaped character line that creates a layered effect on the panel. There are also less buttons on the panel because Honda opted to have a more simplified layout. 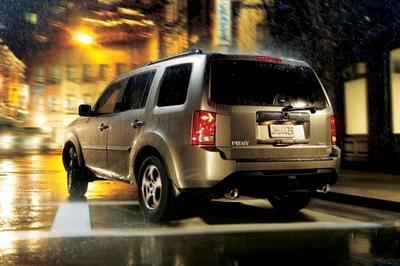 Additionally, the 2012 Pilot models offer a multi-view rear camera - view options include wide view, normal view and top-down view - to help the driver in navigating his away around certain predicaments when driving on reverse is in order. 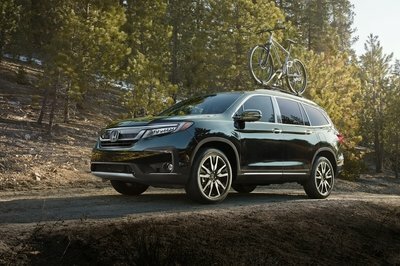 To ensure that the 2012 Pilot features the latest in safety technology, Honda went out of its way to give the SUV all the safety gadgetry it could have. Among the most prominent features include the Advanced Compatibility Engineering (ACETM) body structure, a new technology that helps reduce the amount of crash energy reaching the passenger compartment while also enhancing its frontal collision compatibility. Curtain airbags are also in order, including three-row side curtain airbags with a rollover sensor and driver’s and front passenger’s side airbags with passenger-side Occupant Position Detection System (OPDS). Active front seat head restraints and anti-lock brakes with electronic brake distribution and brake assist also add to the SUV’s safety features. Meanwhile, the Vehicle Stability Assist technology, commonly referred to as Electronic Stability Control, comes standard on all models. 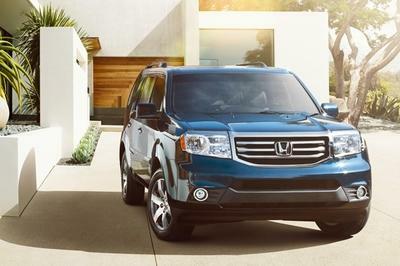 The 2012 Honda Pilot is powered by a 3.5-liter V6 engine that produces an impressive 250 horsepower and 253 lb/ft of torque and mated to a 5-speed automatic transmission that features Grade Logic Control to help maintain the most appropriate gear when going uphill or downhill. Despite it’s awesome performance output, the Pilot is as fuel efficient as they come in the SUV range, boasting of a fuel economy return of 18 mpg on the city and 25 mpg on the highway. 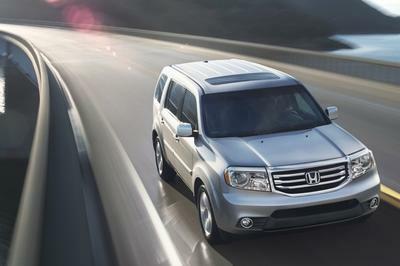 The 2012 Honda Pilot’s price list begins with a base sticker of $28,470 for the 2WD LX model. Next up on that list is the 4WD LX model that comes with a price of $30,070, while the 2WD EX model hits the tag at $31,320. 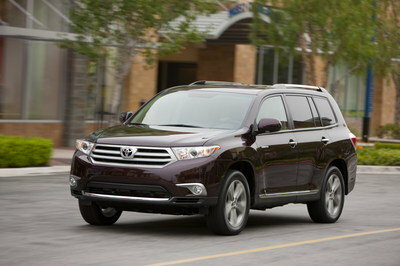 The top-of-the-line model is the 4WD Touring, which comes with a price of $40,820. 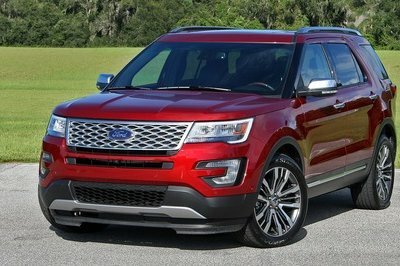 One rival model that can give the 2012 Honda Pilot a serious run for its money is the Ford Explorer. In a nutshell, both models are perfectly capable of being worth your hard-earned money. It’s just a matter of finding out which one suits you best. The Honda Pilot has all the tools to become a multi-purpose SUV, but one thing it lacks compared to the Explorer is in its performance capabilities. The Pilot’s 250-horsepower output is impressive in its own right, but the Explorer, which comes with a similar 3.5-liter V6 engine, produces an output of 290 horsepower and 255 lb/ft of torque, numbers that are better than what the Pilot is capable of. 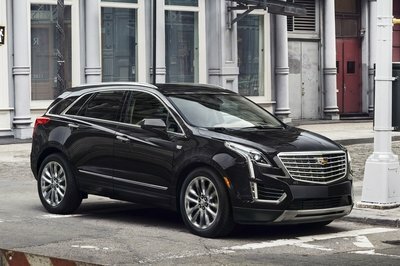 Both models offer the same fuel economy rating (17mpg-city/25mpg-highway), although the Explorer does have a smaller 2.0L I-4 EcoBoost version that returns 20 mph on the city and 28 mpg on the highway. The Pilot’s dilemma is that the 2.0-liter version of the Explorer pretty much has the same output (240 horsepower and 270 lb/ft of torque) while boasting of better fuel economy returns. 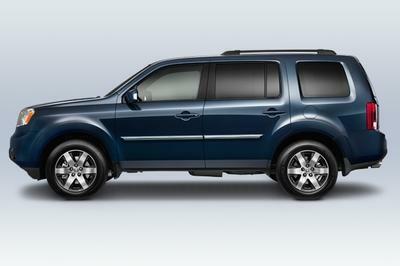 The 2012 Pilot is well worth your money, no question about it. But if you’re looking for something that’s got a little more juice at around the same cost, you’re better off with something like the Ford Explorer. 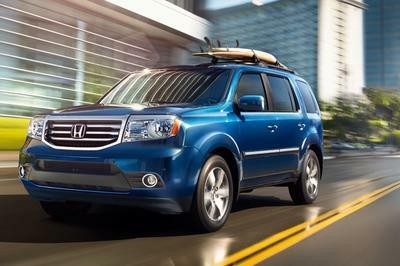 I will not agree that this Honda Pilot is boring. 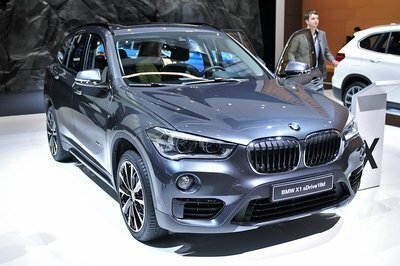 I think its platform is great and i love its safety features plus its spacious interior. Its an interesting car for me. Looking at its picture, I noticed that it has a very awesome dashboard and even a center console. Well, that’s I think one of its best features. However, I have to agree that it didn’t really look good on its exterior. What’s really special with this Pilot? Is there any interesting feature on its interior? Well, I hope that it truly has so that it can recover the disappointment which we feel on this. 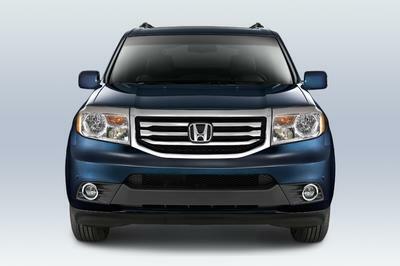 Honda Pilot seems so serious from its exterior to its interior, which is kind of boring on it. Well, if only they also include some interesting features on it. Bad thing either that its engine is a big disappointment for this. Yeah! It is maybe so spacious on its interior, but I noticed that it looks boring for the fact that it doesn’t have at least one latest technology. Anyway, I’m also not satisfied with its engine. Pilot is not really a striking vehicle, but I still love the fact that it is so ideal as a family van and very practical to use for an everyday transportation. I am just only hoping that they would boost more the engine of it. It only looks classy with its sleek body paint, but I have to agree that the detailing on its exterior doesn’t look good at it. It is so sad to hear also that it only had one power train option, which can’t really caught the attention of every car lover. 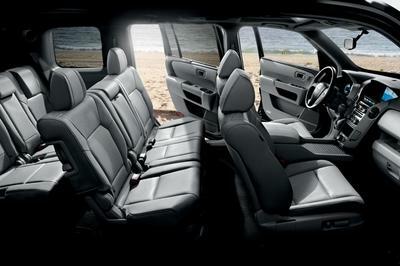 The interior of this SUV is truly so striking for being such a spacious one. Anyway, I’m glad that it will be at an affordable price, well they only justify the simplicity of this Pilot vehicle. I just like the fact that it had a spacious interior, and even though I can’t see any special features of it, I still admired this vehicle for the fact that it is so ideal for a family van.